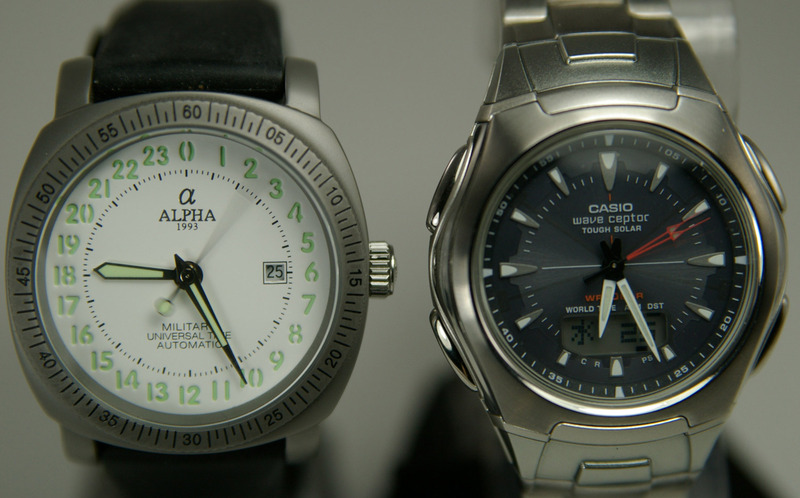 Most inexpensive and medium-priced watches used mainly for timekeeping are electronic watches with quartz movements. Expensive, collectable watches valued more for their workmanship and aesthetic appeal than for simple timekeeping, often have purely mechanical movements and are powered by springs, even though mechanical movements are less accurate than more affordable quartz movements. 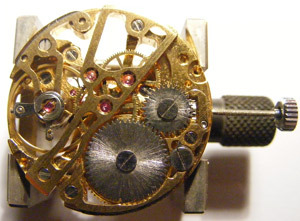 A movement in watch making is the mechanism that measures the passage of time and displays the current time (and possibly other information including date, month and day). 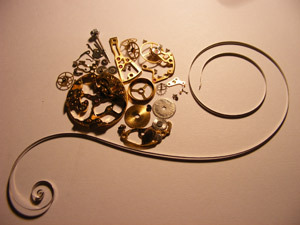 Movements may be entirely mechanical, entirely electronic (potentially with no moving parts), or a blend of the two. 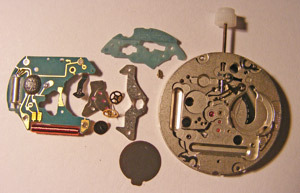 Most watches intended mainly for timekeeping today have electronic movements, with mechanical hands on the face of the watch indicating the time. Compared to electronic movements, mechanical watches are less accurate, often with errors of seconds per day, although the higher grade and quality watches will have acurracy of seconds per week or even months, they are sensitive to positional error. In addition, they are costly to produce and require regular maintenance and adjustment, as they are more prone to failure. Nevertheless, the "old world" craftsmanship of mechanical watches still attracts interest from part of the watch-buying public. 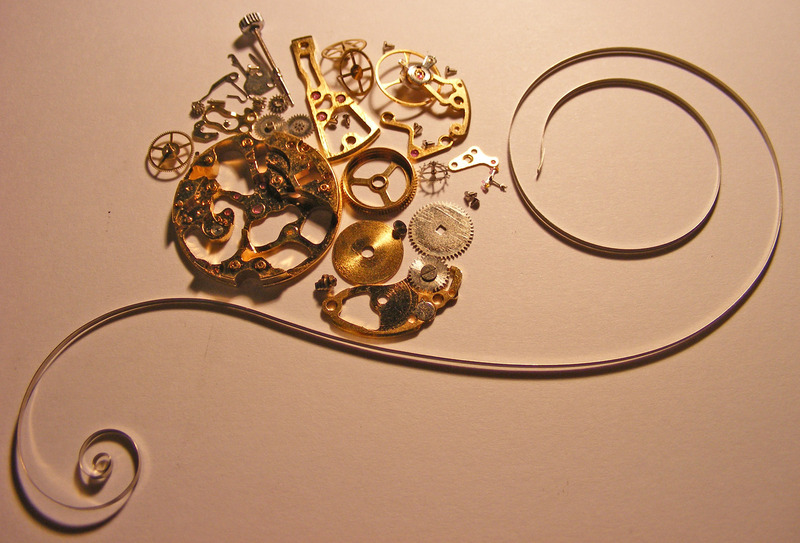 Mechanical movements use an escapement mechanism to control and limit the unwinding of the spring, converting what would otherwise be a simple unwinding, into a controlled and periodic energy release. Mechanical movements also use a balance wheel together with the balance spring (also known as a hairspring) to control motion of the gear system of the watch in a manner analogous to the pendulum of a Grandfather or Church clock. 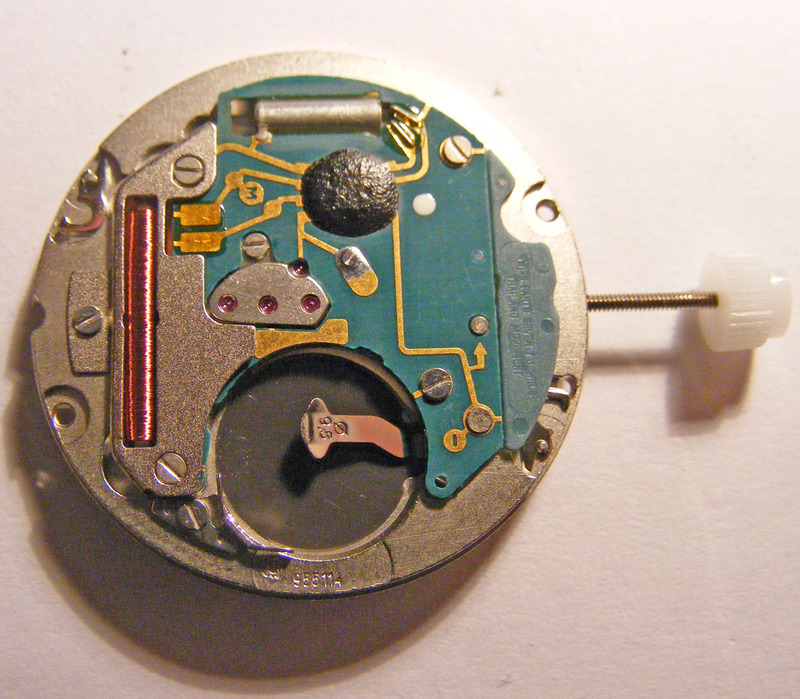 Electronic movements have few or no moving parts, as they use the piezoelectric effect in a tiny quartz crystal to provide a stable time base for a mostly electronic movement. The crystal oscillates at the rate of 32,768 times per second , which can be used to accurately pace a timekeeping mechanism. For this reason, electronic watches are often called quartz watches. Most quartz movements are primarily electronic but are geared to drive mechanical hands on the dial of the watch in order to provide a traditional analogue display of the time, which is still preferred by most consumers.